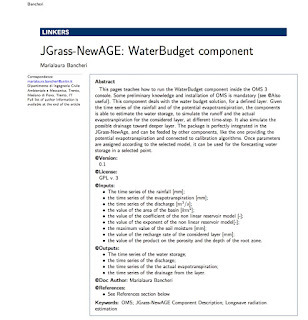 This document the simple water budget components (SWB) developed by Marialaura Bancheri. It integrates, as explained in the document, the water budget solving the non linear water budget equation. Please read the documentation for details. Clicking on the image above you will be redirected to the Slideshare site where the document is. Otherwise you can see it on Overleaf here. 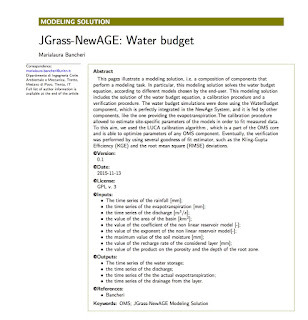 Below instead you will find the documentation of a modelling solution using the SWB component. Please click on the Figure to find it. Otherwise click here for the Overleaf version.